Also, it is not uncommon for at least two concurrent routes to be signposted with different cardinal directions. 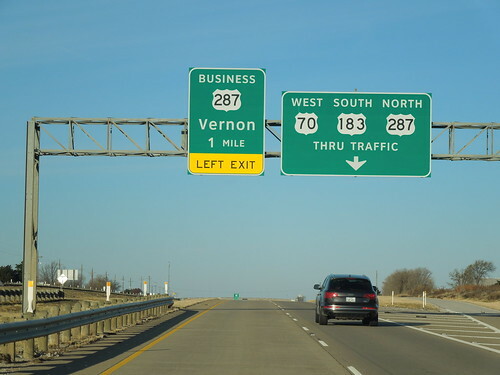 For example, drivers heading east on Colfax Avenue in Denver will see signs for both "East US 40" and "South US 287". Sometimes the two routes are signed in opposite directions. For example, heading west from Wytheville, Virginia, a short segment of interstate carries not only northbound I-81 and southbound I-77, but also northbound US 11 and southbound US 52. This arrangement is sometimes referred to as a "wrong-way overlap", or a "which-way overlap". These are a little more rare, but nothing to get too excited about. 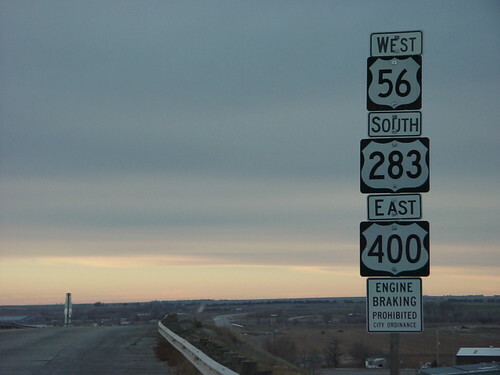 Between there and Oklaunion, one stretch of highway carries three different directions of US 70-183-287. 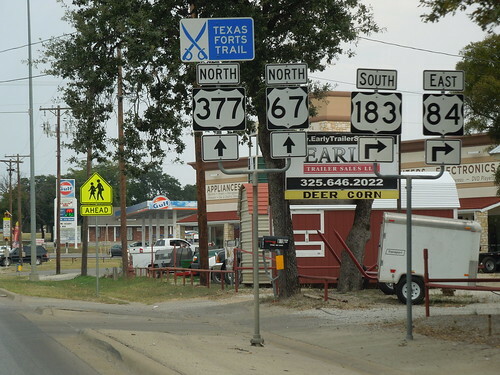 Are you aware of another example of a three-way wrong-way US route overlap? If so, please comment.